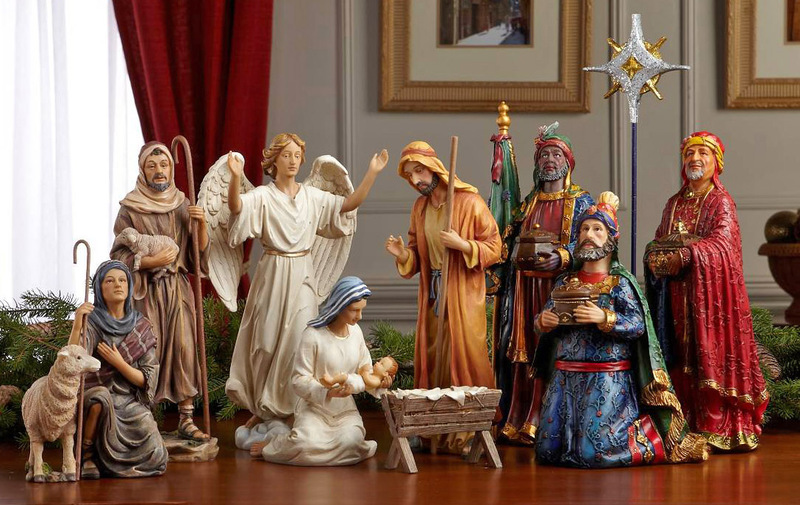 Combine all three sets: The Holy Family, The Shepherds and Angel and The Kings Following the Christmas Star to make up “The Real Life Nativity”. The dramatic, life-like realism and true elements like real gold, frankincense and myrrh an heirloom that will be a source of meaningful joy for many years. © 2019 Three Kings Gifts. All rights reserved.